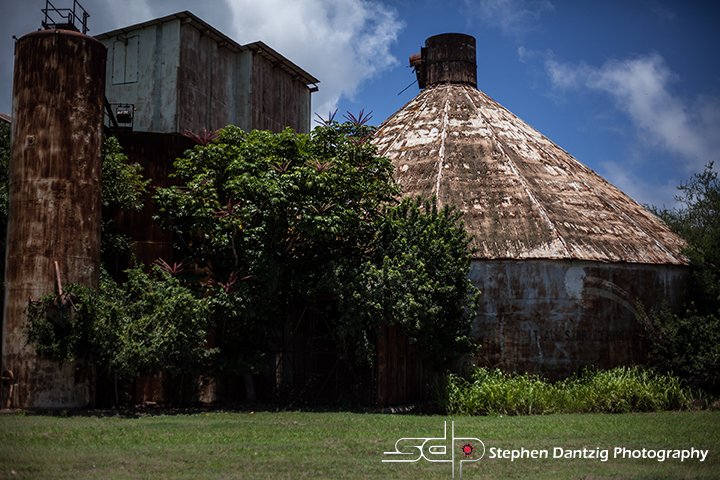 It was a real thrill for me to photograph the Old Koloa Sugar Mill on Kaua’i. It was an amazing feeling to capture such an important—and controversial—part of the history of Hawai’i. 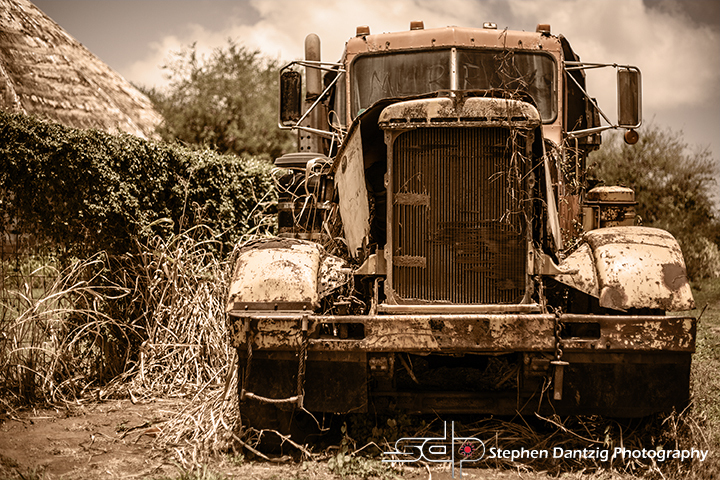 The building and old trucks were in such an amazing state of disrepair. The rust and decay were like ghosts hanging around to remind of us of a vibrant past that is now just that: part of the past. 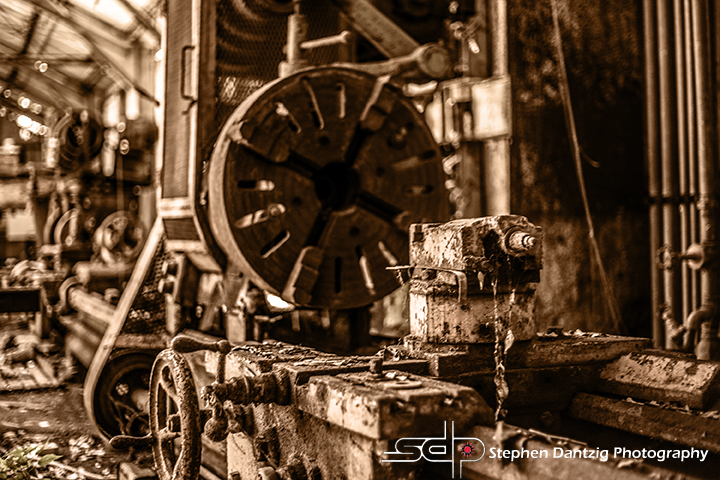 These relics may no longer be pumping out granulated sugar and molasses, but whatever your take is on the impact they had on Hawai’i Ne’i, the rich cultural and ethnic diversity that is Hawai’i is a direct result of the plantation workers of yesteryear. It is that part of the history that I hoped to respectfully capture. 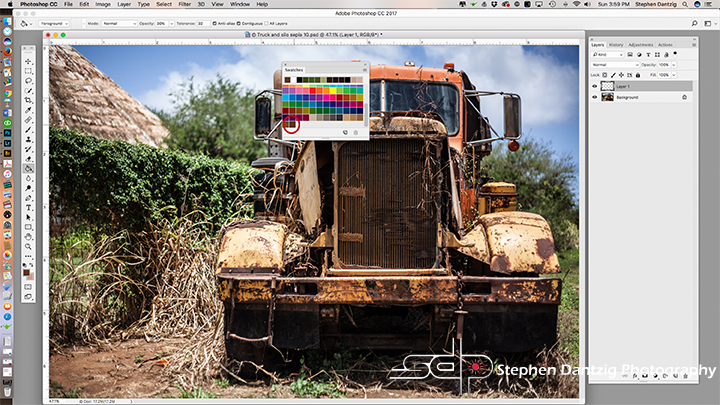 Find the image you want to “enhance.” This is actually the most important step, because not all images will look good in sepia tone. 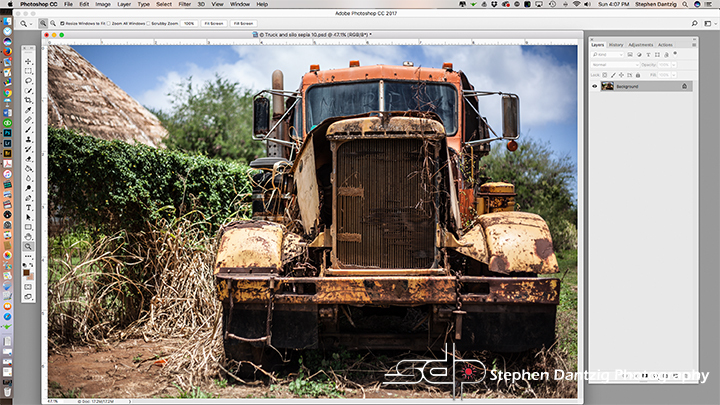 I chose three (so far) from a series of images taken at the Old Sugar Mill in Koloa, Kaua’i, Hawai’i. 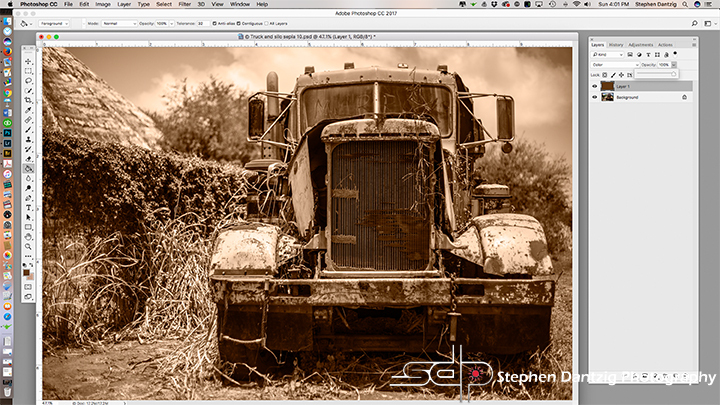 I thought the rustic (and rusted) look of the original images would lend themselves nicely to the nostalgic look that I wanted to create with the sepia effect. Note that I had bumped up the clarity (sharpness and detail) in each of these images in Lightroom before importing them into Photoshop. 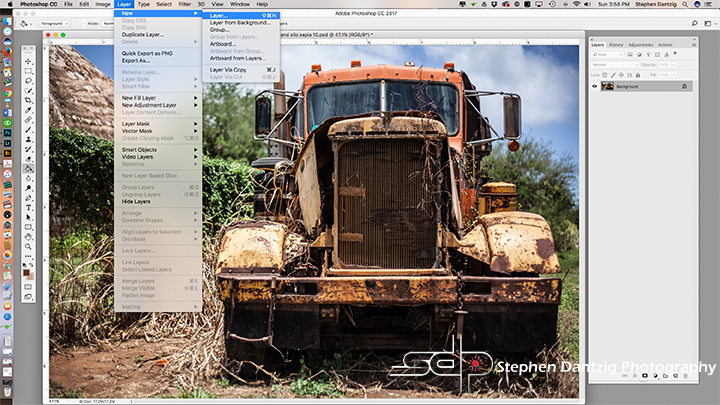 Create a new layer (layer>new). 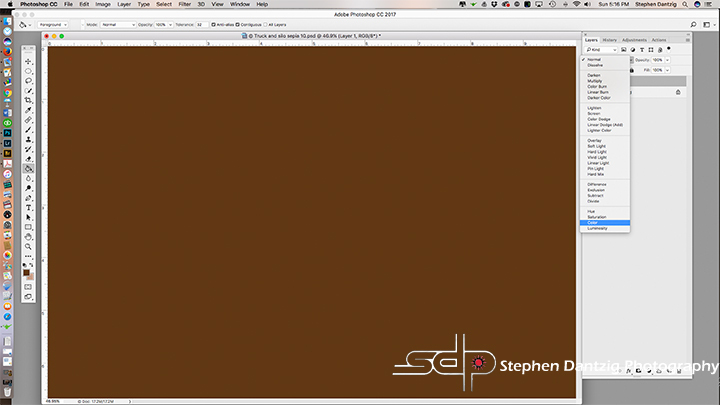 Click OK when the dialog box opens. —UGH! What have we done! Now for the fun/creative part: lower the OPACITY of the sepia layer to allow as much of the original colors to blend with the sepia layer. There is no wrong amount in this last step…it is your creativity, so stop when you like what you see! The real beauty of this technique is the infinite variability that you have: you can easily change the color of the “new” layer and change its opacity as often as you want! Try this on some of your old family photos! 7/29/17 UPDATE: I am very pleased to announce that Hawaii School of Photography will be at the very first Hawaii PhotoCon Tradeshow on OCTOBER 7 and 8, 2017 (http://photoconhawaii.com/) Don’t miss this incredible convention that runs from October 4th through the 8th! Stop by our booth with ANY photography questions and bring your work for a free critique (if you want!) or just come talk story! I am also SO excited the we are FINALLY BACK! We are starting with a limited number of our most popular Introductory classes beginning in September, 2017. 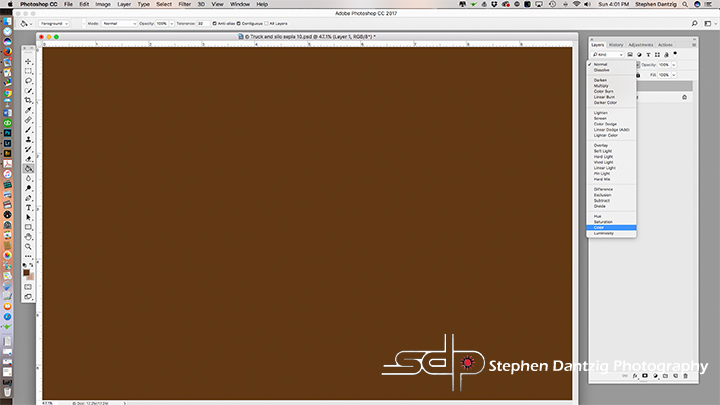 We will hold our 3-hour So, You Just Got a DSLR (or Other Digital Camera): Now What? on the following dates and times: SATURDAY SEPTEMBER 9, 2017 OR NOVEMBER 4, 2017 FROM 12 NOON TO 3PM; SUNDAY OCTOBER 22, 2017 OR DECEMBER 10, 2017 FROM 1PM TO 4PM. These classes are held outdoors and are subject to weather related postponements. We have scheduled two sessions of our in-depth 12-hour The Essential Digital Photography Workshop. This workshop is held over 4-consecutive MONDAYS from 6PM to 9PM IN OUR DOWNTOWN STUDIO (NO CLASSES ARE HELD AT THE ALA WAI ADDRESS) The first 4-week class will run on SEPTEMBER 11, 18, 25, and OCTOBER 2, 2017. The second 4-week class with run on OCTOBER 23, 30, and NOVEMBER 6, 13, 2017. Finally (for now), I am going to attempt to run our FULL DAY (8-9 hours) Introduction to Studio Lighting (complete with a 3-hour live model shoot) on SATURDAY OCTOBER 15, 2017 from 9AM to 6PM IN OUR DOWNTOWN STUDIO (NO CLASSES ARE HELD AT THE ALA WAI ADDRESS). This class is an absolute MUST for anyone thinking about getting into indoor portraiture, fashion or any studio lighting.